A concerted effort was made to recycle or reuse many things from this old house and garden. 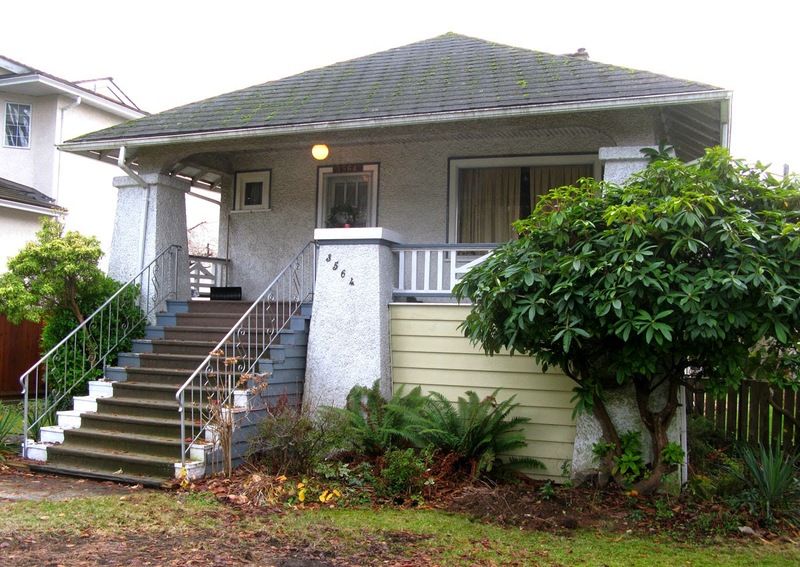 For example, the elderly owner's son worked with neighbours to move the large rhododendron seen at the front of this house before the demolition on April 8 or 9, 2014. In 1960, the rhodo cost $1.99. 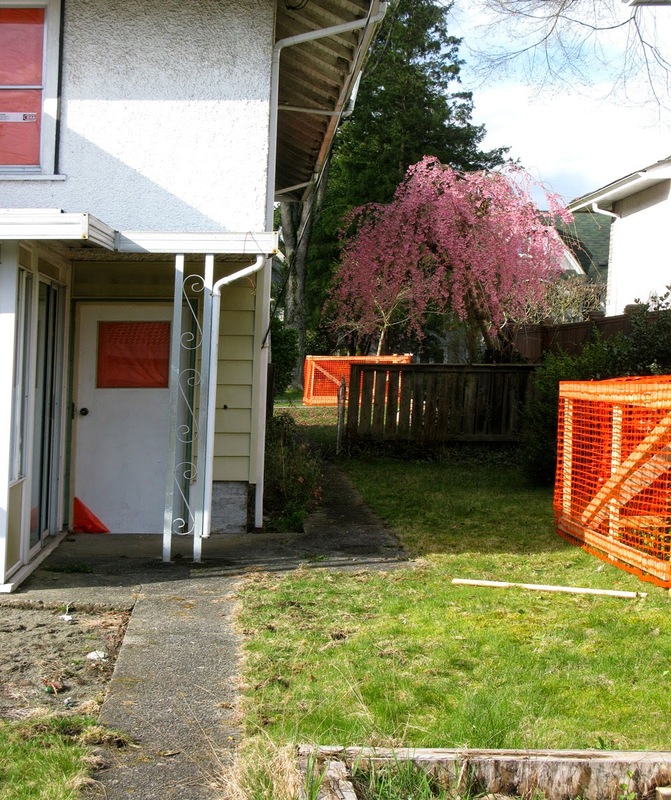 The view from the back alley shows a flowering cherry, which I do not think was saved. This typical 1920's or 1930's house stood at 3564 West 28th Avenue, and according to the son, it had quite a few structural problems, so demolition was not a bad solution.